MCD Election Result 2017: The voter turnout was recorded at 54 per cent. The MCD Election Result 2017 will be declared tomorrow, three days after voting took place in 270 wards across the three civic bodies - North Delhi Municipal Corporation, South Delhi Municipal Corporation and the East Delhi Municipal Corporation. The overall turnout was recorded at 54 per cent, almost the same as the 2012 elections. The three principal parties contesting the MCD Election 2017 are Prime Minister Narendra Modi's BJP, Delhi Chief Minister Arvind Kejriwal's AAP, and the Congress Party. Q: Where Can We Check MCD Election Result 2017? A: You can check the ward-wise and overall results of the MCD election 2017 live on ndtv.com and the NDTV News mobile app, which is available for Android, iOS and Windows smartphones. You may also live stream the election coverage on NDTV 24x7 and NDTV India. Q: When will the MCD Election Result 2017 be declared? A: The MCD Election Result 2017 coverage and counting will begin at 8 am on Wednesday, 26 April 2017 . Q: How many seats are there in the MCD Elections 2017? A: There are 272 wards across three municipal corporations in Delhi - North and South Corporations have 104 wards each whereas the East Corporation has 64 seats. Polls were held in 270 of the total 272 wards. Q: Which parties have contested the MCD Elections 2017? A: The three principal parties who have contested the MCD Elections 2017 are the BJP, Aam Aadmi Party and the Congress. There are also independent candidates and contestants from Janata Dal (United) and Bahujan Samaj Party. The newly-formed Swaraj India, founded by Yogendra Yadav and Prashant Bhushan, has also contested the polls. You can find a list of the prominent candidates here. Q: Who will win the MCD Election 2017? A:According to exit polls, the BJP is expected to win the MCD Election 2017. However, one will get a clear picture once the votes are counted. 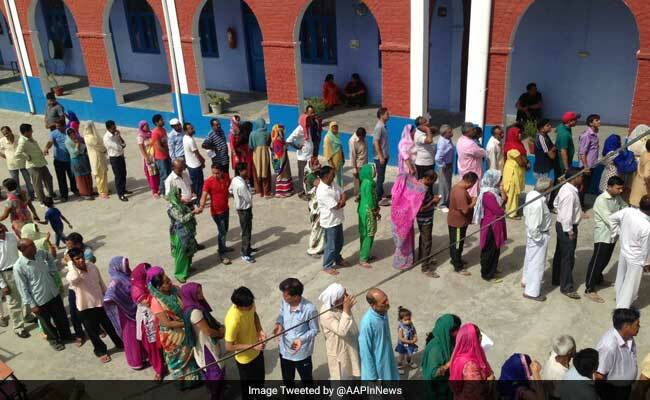 You can check the results on ndtv.com and follow the MCD Election Results 2017 live blog. To know more about the MCD Election 2017, click here.